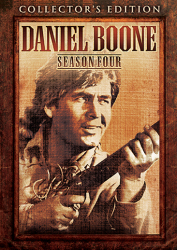 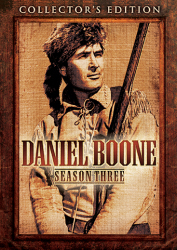 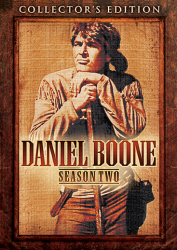 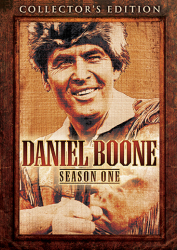 "He was brave, he was fearless, and as tough as a mighty oak tree…"
Fess Parker steps into the rawhide shoes of American hero Daniel Boone again for the fifth season of the beloved classic series. 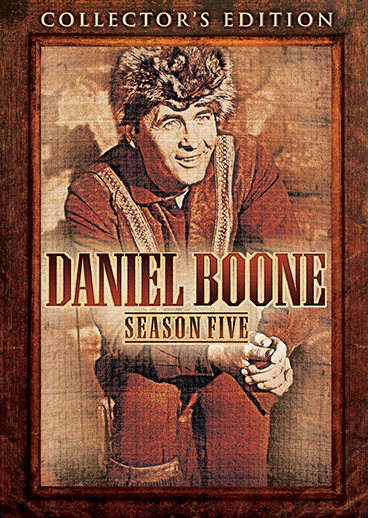 Parker's iconic portrayal of the renowned woodsman perfectly depicted Boone's sense of adventure, homespun wisdom, and can-do attitude — qualities that represented the best of the pioneer spirit upon which a nation was built. 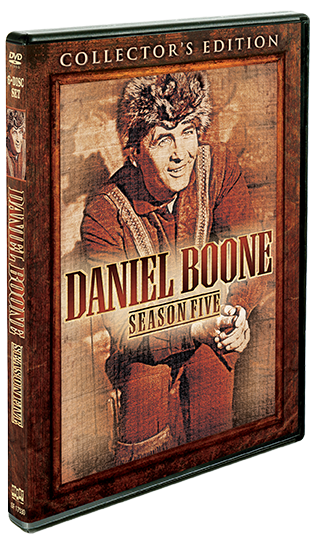 Parker, Patricia Blair, Dallas McKennon, and Darby Hinton are joined by guest stars Kurt Russell, Vincent Price, Burgess Meredith, Ron Howard, Burl Ives and more in this six-disc collection of all twenty-six episodes from the fifth season of the frontier favorite!